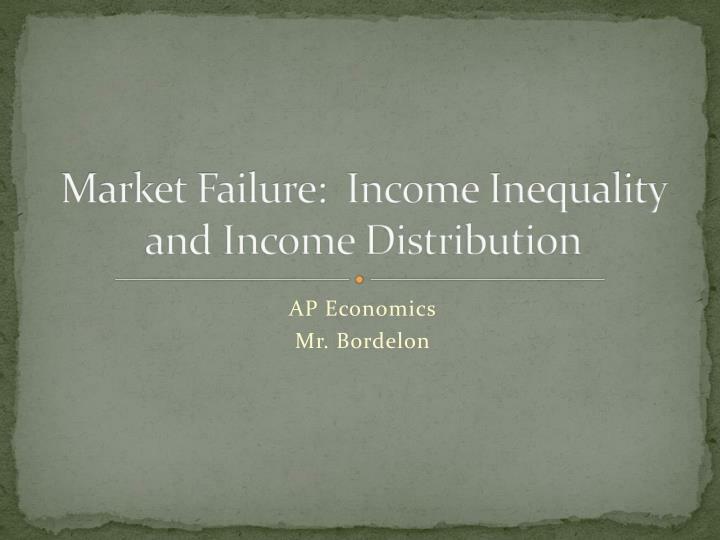 Market Failure: Income Inequality and Income Distribution. 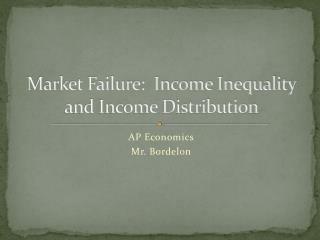 AP Economics Mr. Bordelon. Problem of Poverty. 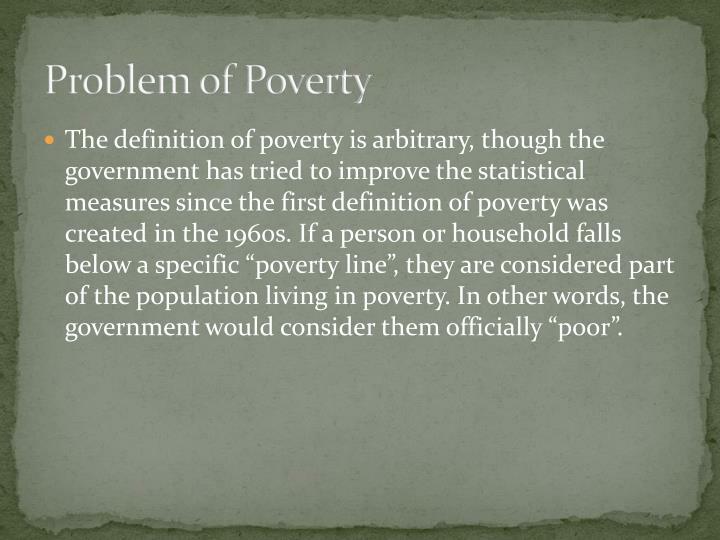 The definition of poverty is arbitrary, though the government has tried to improve the statistical measures since the first definition of poverty was created in the 1960s. If a person or household falls below a specific “poverty line”, they are considered part of the population living in poverty. In other words, the government would consider them officially “poor”. 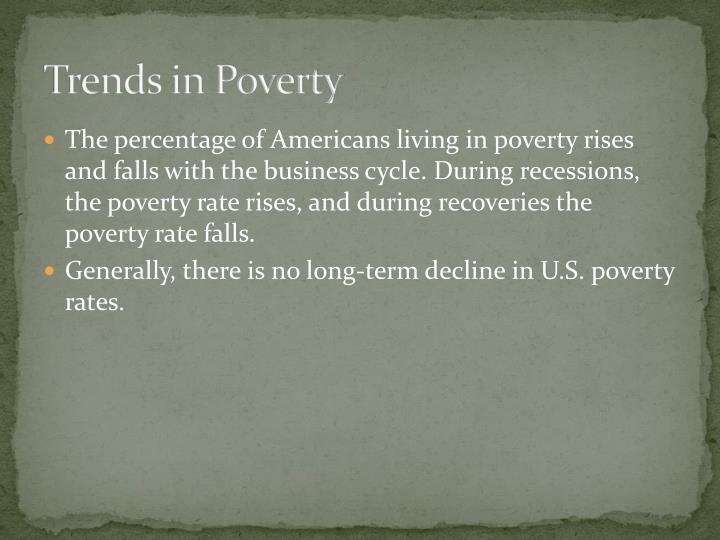 The percentage of Americans living in poverty rises and falls with the business cycle. 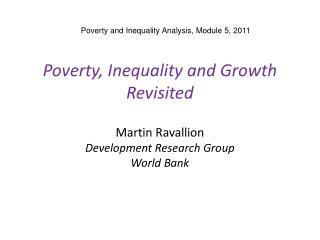 During recessions, the poverty rate rises, and during recoveries the poverty rate falls. Generally, there is no long-term decline in U.S. poverty rates. 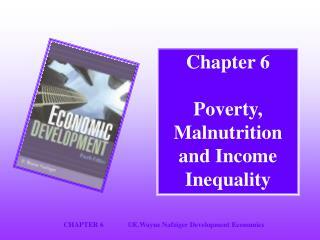 Poverty is not spread evenly across the population. Working poor. If a person does not have full-time work, they are more likely to be living in poverty. 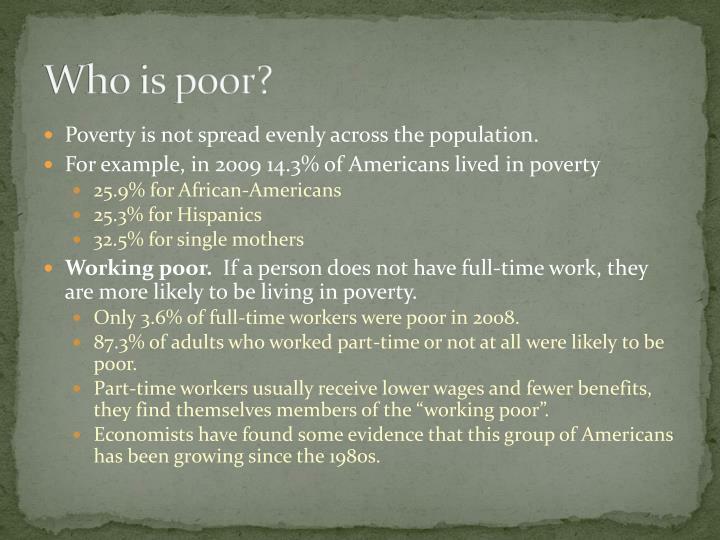 Only 3.6% of full-time workers were poor in 2008. 87.3% of adults who worked part-time or not at all were likely to be poor. Part-time workers usually receive lower wages and fewer benefits, they find themselves members of the “working poor”. Economists have found some evidence that this group of Americans has been growing since the 1980s. 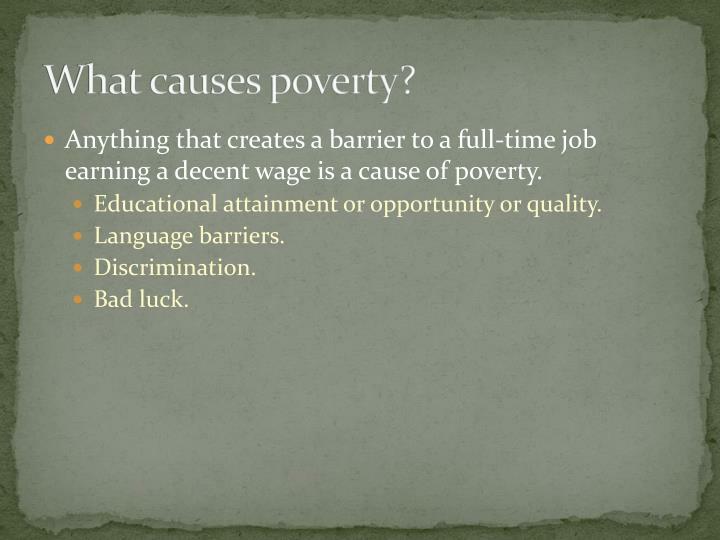 Anything that creates a barrier to a full-time job earning a decent wage is a cause of poverty. Educational attainment or opportunity or quality. 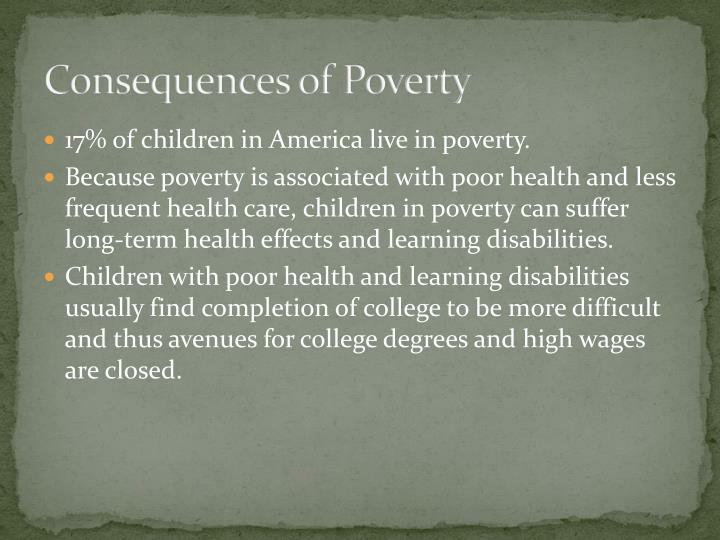 17% of children in America live in poverty. Because poverty is associated with poor health and less frequent health care, children in poverty can suffer long-term health effects and learning disabilities. Children with poor health and learning disabilities usually find completion of college to be more difficult and thus avenues for college degrees and high wages are closed. 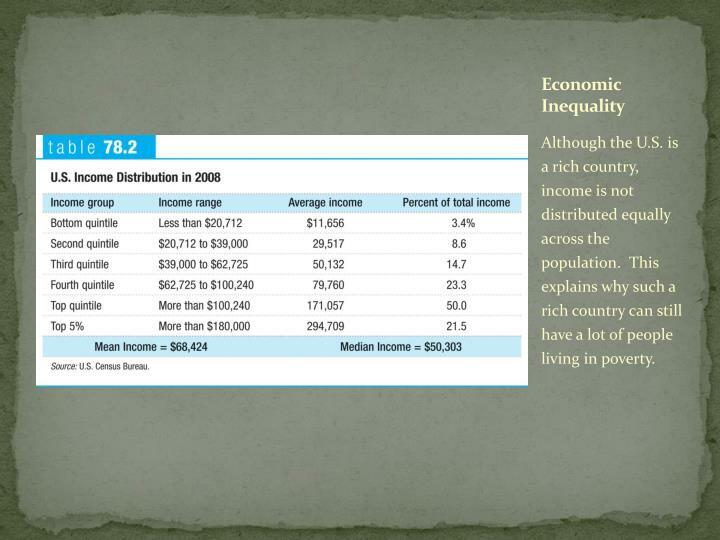 Although the U.S. is a rich country, income is not distributed equally across the population. This explains why such a rich country can still have a lot of people living in poverty. 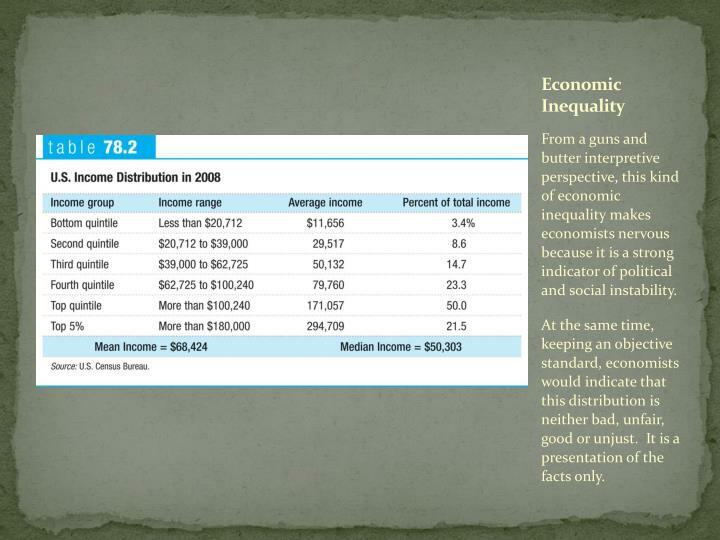 This table shows the distribution of income in 2008 in the U.S. Mean household income. Average income across all households. Median household income. Income of household lying in the middle of the income distribution. Economists use median household income as a more accurate indicator of the population as a whole because the average could be skewed by wealthier individuals. In this case, by some $18,000. What you should notice right off that the top 20% of wage earners earns more than 71.5% of all the money in this country. Comparing the top 5% and bottom 20%, the top 5% earn 21.5% of the total wealth, while the bottom 20% earn 3.4%. 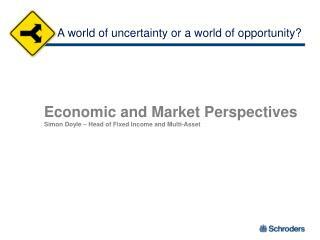 From a guns and butter interpretive perspective, this kind of economic inequality makes economists nervous because it is a strong indicator of political and social instability. 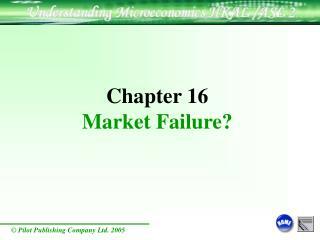 At the same time, keeping an objective standard, economists would indicate that this distribution is neither bad, unfair, good or unjust. 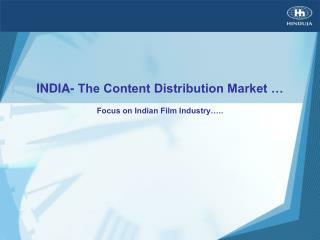 It is a presentation of the facts only. Another perspective, looking at growth since 1947. 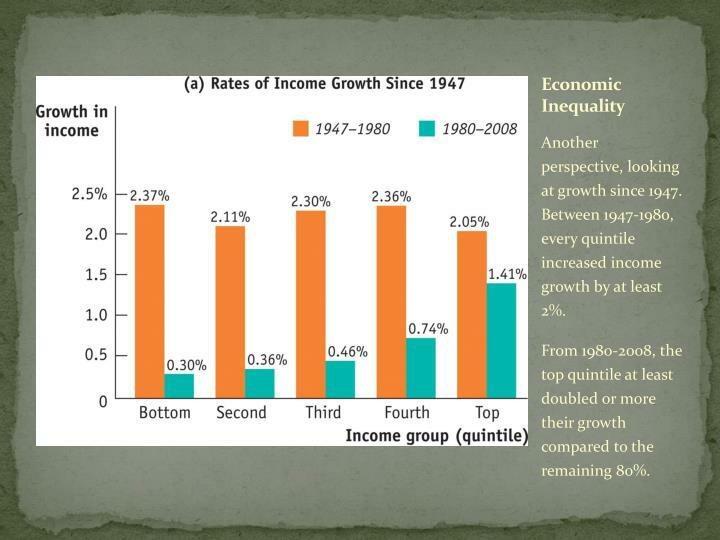 Between 1947-1980, every quintile increased income growth by at least 2%. From 1980-2008, the top quintile at least doubled or more their growth compared to the remaining 80%. This is a longer term graph, showing the shares of total income to the top 10% from the end of the First World War to the end of the second Bush Administration. 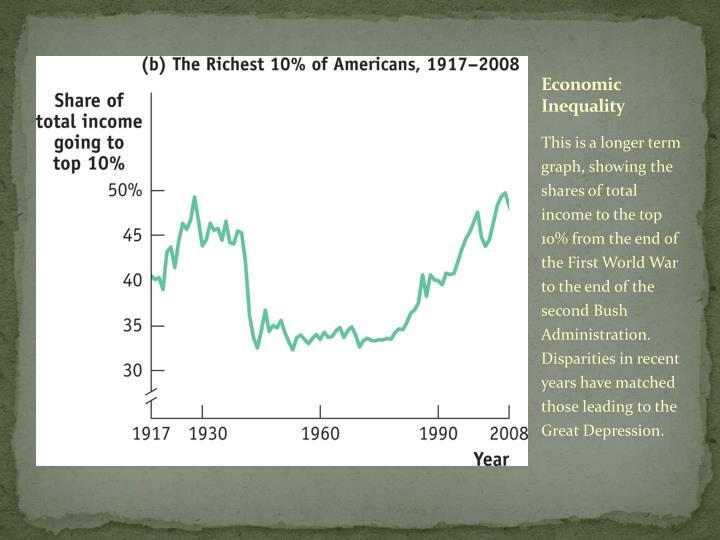 Disparities in recent years have matched those leading to the Great Depression. Gini coefficient. 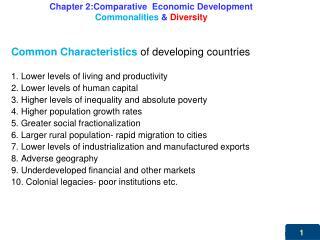 Number used to indicate a country’s level of income inequality based on how unequally income is distributed across countries. 0 is pretty good, 1 is pretty bad. 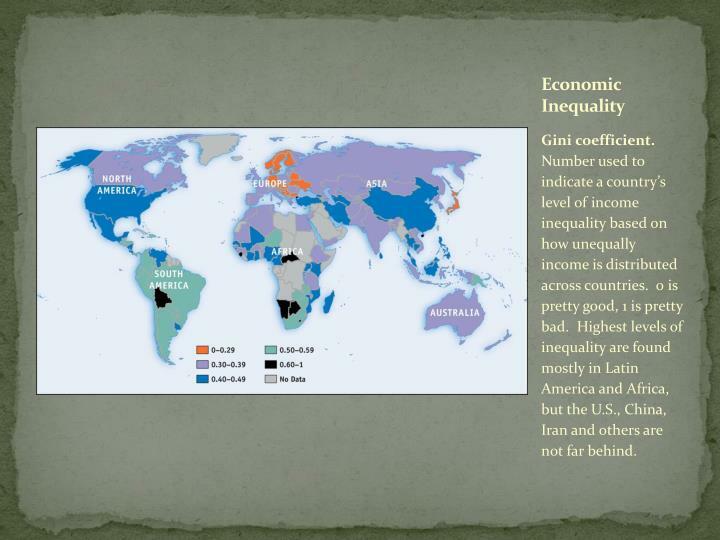 Highest levels of inequality are found mostly in Latin America and Africa, but the U.S., China, Iran and others are not far behind. Suppose one adult in the household lost a job or someone got very sick and there was no health insurance. 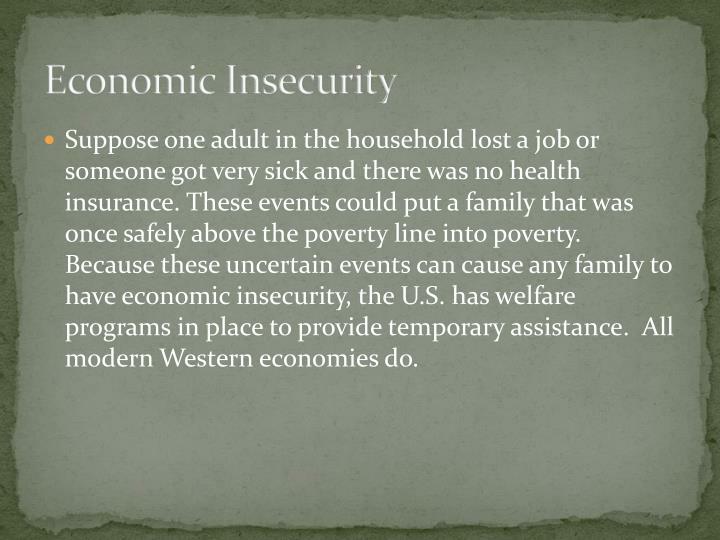 These events could put a family that was once safely above the poverty line into poverty.Because these uncertain events can cause any family to have economic insecurity, the U.S. has welfare programs in place to provide temporary assistance. 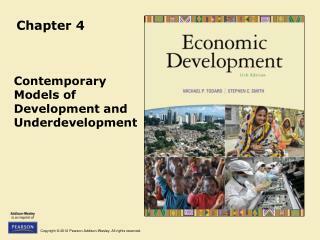 All modern Western economies do. Means-tested. These programs are available only to individuals or families whose incomes fall below a certain level. In-kind benefit. 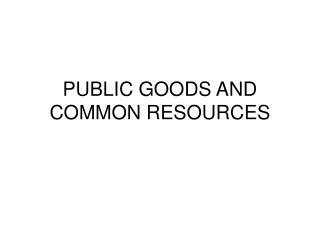 Benefit given in the form of goods or services. 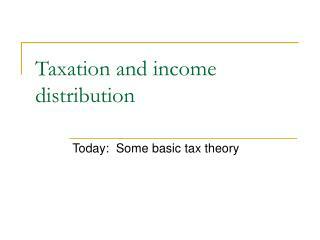 Negative income tax. 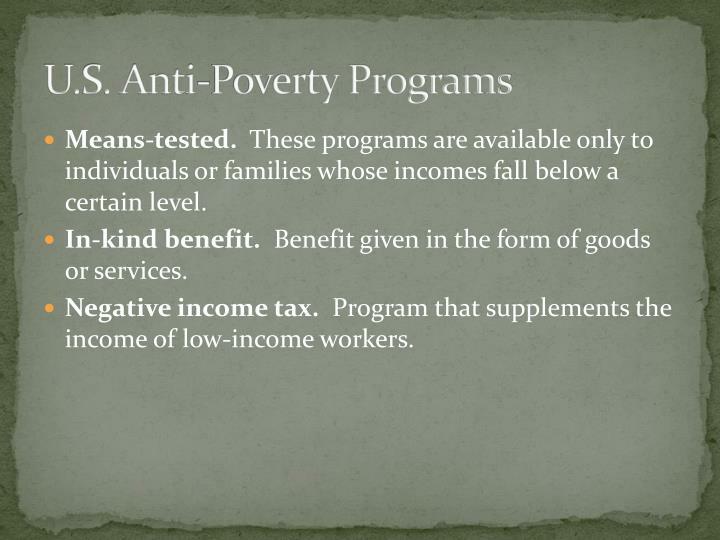 Program that supplements the income of low-income workers. The government establishes criteria, like a level of income, and if you earn less than this amount, you qualify for benefits. In the U.S., the high-profile welfare programs are Temporary Assistance for Needy Families (TANF), food stamps (SNAP) and Medicaid. 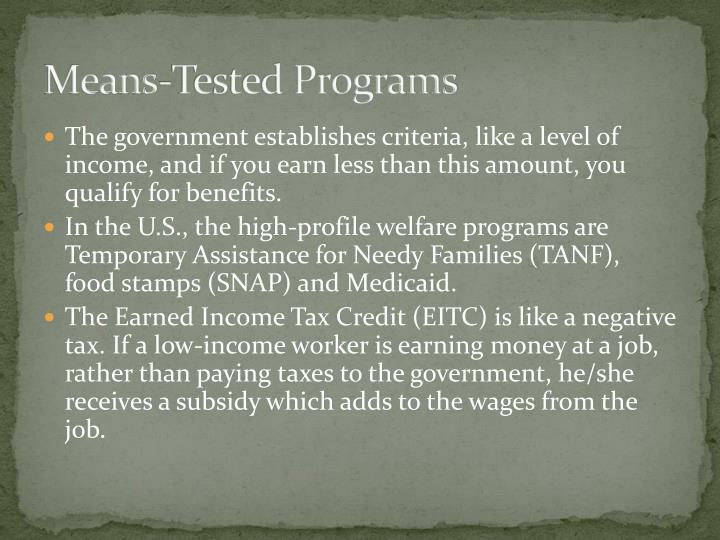 The Earned Income Tax Credit (EITC) is like a negative tax. If a low-income worker is earning money at a job, rather than paying taxes to the government, he/she receives a subsidy which adds to the wages from the job. 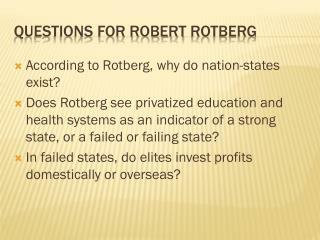 High-profile programs that are non-means tested include Social Security and Unemployment Insurance. 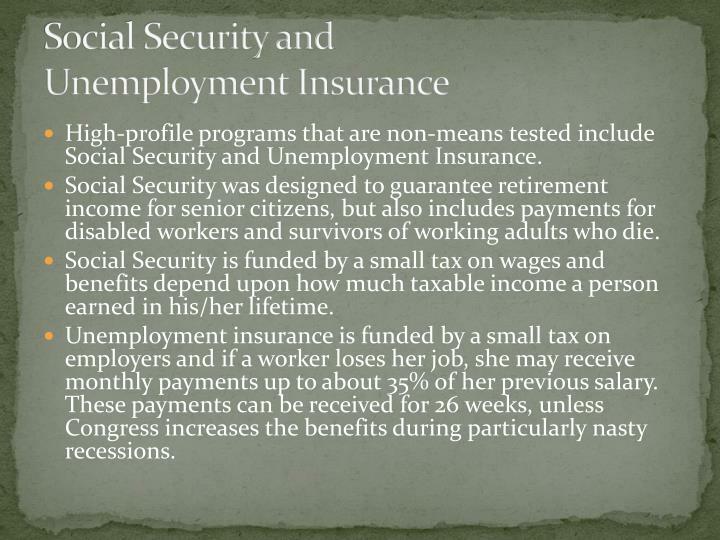 Social Security was designed to guarantee retirement income for senior citizens, but also includes payments for disabled workers and survivors of working adults who die. Social Security is funded by a small tax on wages and benefits depend upon how much taxable income a person earned in his/her lifetime. Unemployment insurance is funded by a small tax on employers and if a worker loses her job, she may receive monthly payments up to about 35% of her previous salary. These payments can be received for 26 weeks, unless Congress increases the benefits during particularly nasty recessions. 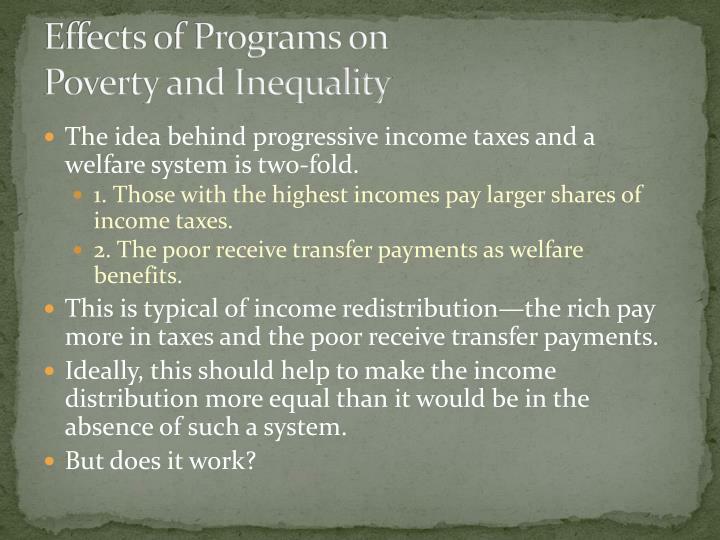 The idea behind progressive income taxes and a welfare system is two-fold. 1. Those with the highest incomes pay larger shares of income taxes. 2. The poor receive transfer payments as welfare benefits. 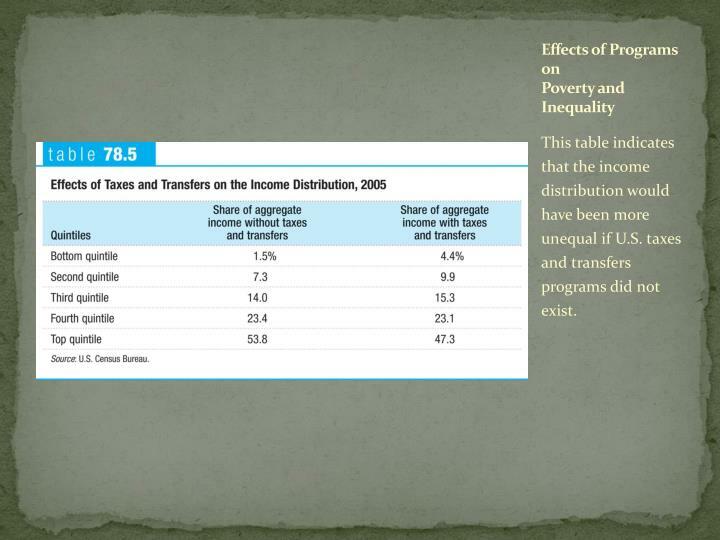 This is typical of income redistribution—the rich pay more in taxes and the poor receive transfer payments. 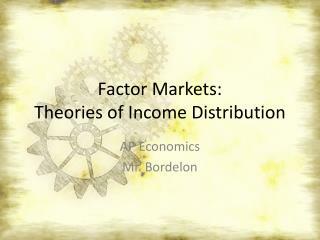 Ideally, this should help to make the income distribution more equal than it would be in the absence of such a system. 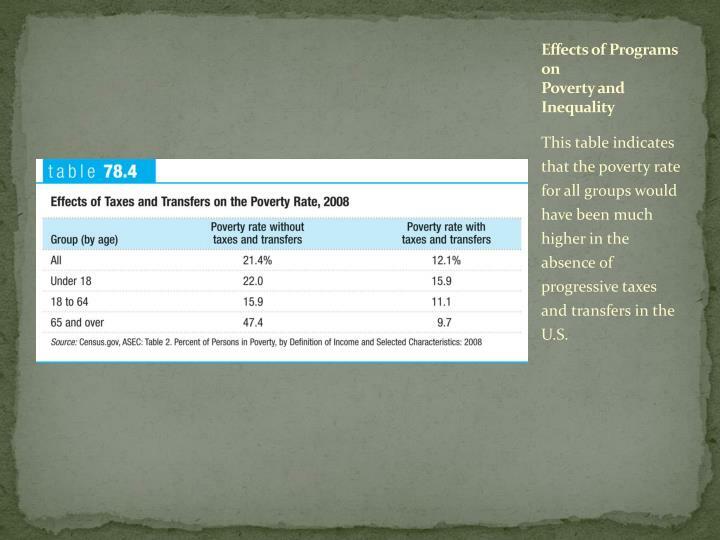 This table indicates that the poverty rate for all groups would have been much higher in the absence of progressive taxes and transfers in the U.S. This table indicates that the income distribution would have been more unequal if U.S. taxes and transfers programs did not exist. 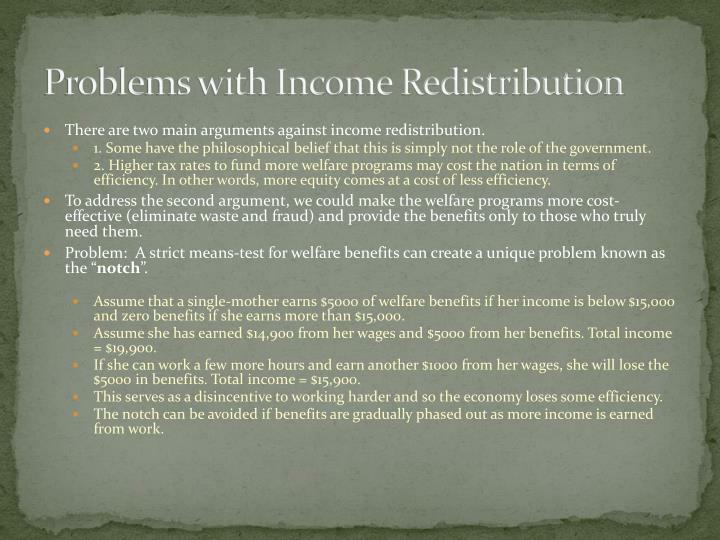 There are two main arguments against income redistribution. 1. Some have the philosophical belief that this is simply not the role of the government. 2. Higher tax rates to fund more welfare programs may cost the nation in terms of efficiency. 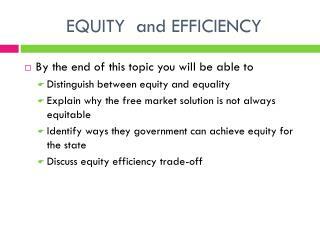 In other words, more equity comes at a cost of less efficiency. To address the second argument, we could make the welfare programs more cost-effective (eliminate waste and fraud) and provide the benefits only to those who truly need them. 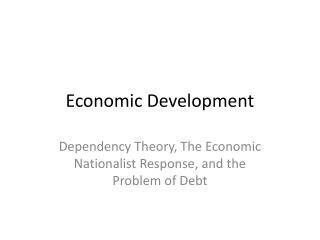 Problem: A strict means-test for welfare benefits can create a unique problem known as the “notch”. Assume that a single-mother earns $5000 of welfare benefits if her income is below $15,000 and zero benefits if she earns more than $15,000. Assume she has earned $14,900 from her wages and $5000 from her benefits. Total income = $19,900. If she can work a few more hours and earn another $1000 from her wages, she will lose the $5000 in benefits. Total income = $15,900. This serves as a disincentive to working harder and so the economy loses some efficiency. The notch can be avoided if benefits are gradually phased out as more income is earned from work. Politics.Some of the political controversy over the welfare state involves differences in opinion about the trade-offs just discussed. If you believe that the disincentive effects of generous benefits and high taxes are very large, you’re likely to look less favorably on welfare state programs than if you believe they’re fairly small. 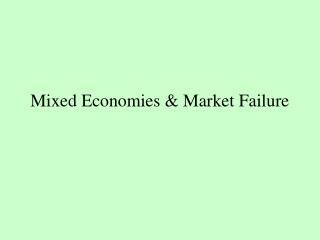 Economic analysis, by improving our knowledge of the facts, can help resolve some of these differences. 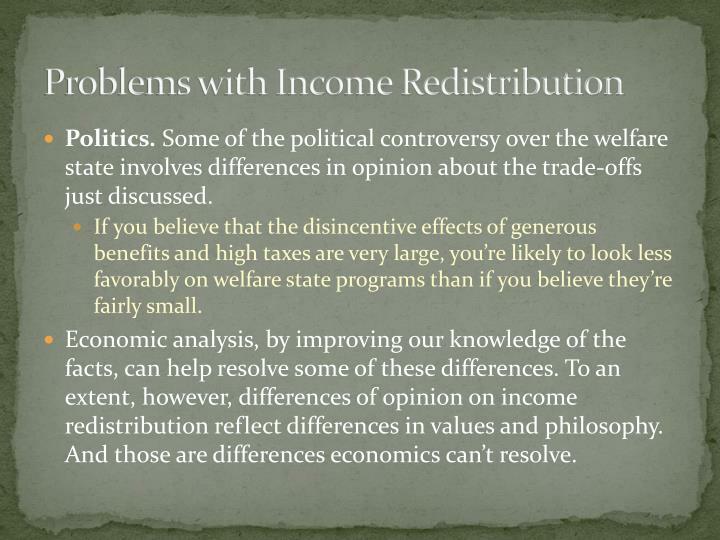 To an extent, however, differences of opinion on income redistribution reflect differences in values and philosophy. 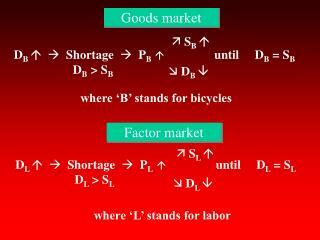 And those are differences economics can’t resolve. 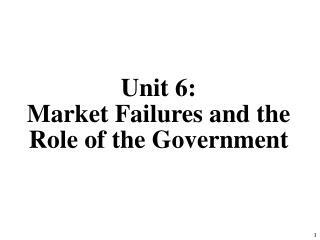 Unit 6: Market Failures and the Role of the Government -Unit 6: market failures and the role of the government. 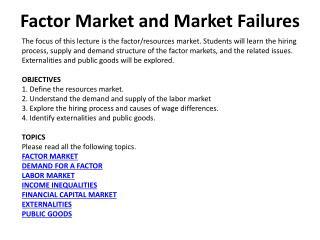 1. what is the free market? (capitalism). 2. 5 characteristics of free markets. 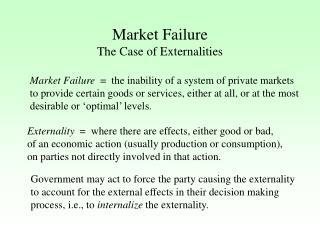 little government involvement in the economy. 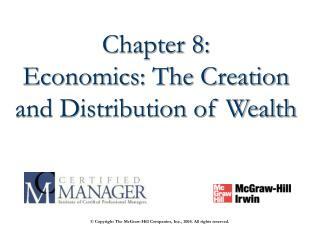 Chapter 8: Economics: The Creation and Distribution of Wealth -. 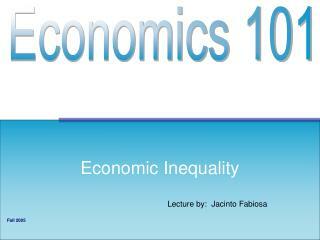 what is economics?. 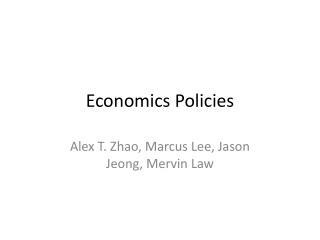 economics the study of how a society chooses to use scarce resources to produce goods and services and distributes them among competing groups and individuals. The Politics of Population Health -. 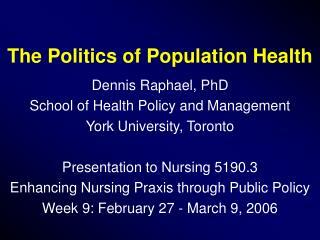 dennis raphael, phd school of health policy and management york university, toronto presentation to nursing 5190.3 enhancing nursing praxis through public policy week 9: february 27 - march 9, 2006.